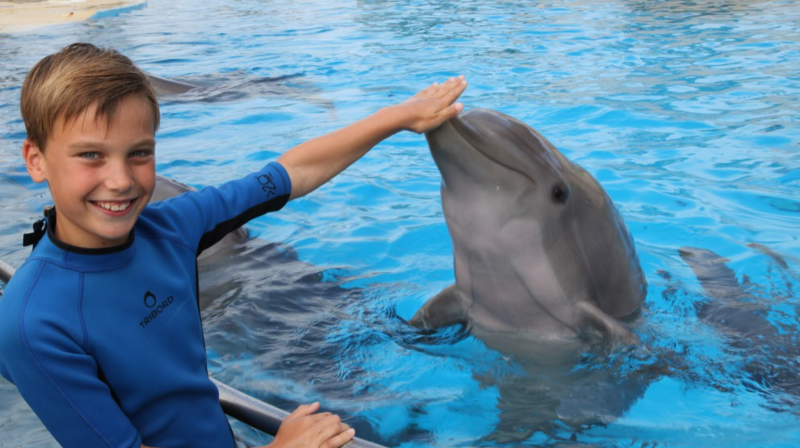 Discover interactions you can do in the Dolphinarium, in Aquópolis Costa Dorada in la Pineda (Tarragona) near Salou, and meet close to the dolphins and sea lions with our educational talks. This activity is intended for visitors who want to get to know our dolphins from close up, on a guided visit in which there will be an educational talk where the participants will be able to see and learn the characteristics of dolphins from the edge of the pool. Then interact with them in the water in a prepared pool which is very close up but at the same time totally protected. 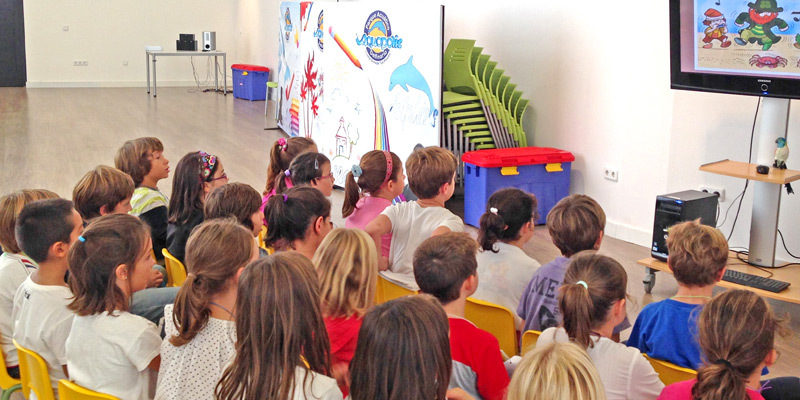 Aquópolis has designed an interesting educational programme in which we show our marine mammals and attempt to raise awareness among students of the importance of respecting the environment for the future of the species and all marine fauna.